An era of continuous transformation for pharmaceutical and medical products companies is forcing business leaders to evolve more quickly. Issues such as consolidation, licensing, tapping the biotech pipeline and evolving the sales force model will define which companies succeed and which don't. Even with industry consolidation, there has been a steady increase in the percentage of revenues that pharmaceutical companies and other industry players are spending on research and development. All of this spending has not guaranteed these companies sufficient pipelines to make up for expiring patents and to meet growth expectations. 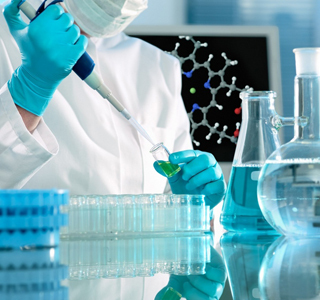 Many pharmaceutical companies are experiencing a decline in research productivity. Some have tried innovative organizational models to drive productivity, but their success remains uncertain. Despite the emergence of new technologies, it is becoming more difficult to find a breakthrough molecule in many research areas. CIC has a passion for delivering innovative products and solutions for the pharmaceutical industry. We have industry experience that can talk your language and understand your needs. How can administrative costs and overheads be controlled while improving patient services and overall efficiency? How can healthcare be made more consumer-centric without adding to delivery costs? How can spiraling IT costs be reined in so that resources are available for making new investments in technology to create competitive leadership capabilities? CIC has been working with providers and other channels to help them become more competitive. Our dedicated healthcare practice has many certified professionals. We offer a powerful combination of business solutions and services to help you compete better.